You should buy modern kitchen cabinets in Los Angeles if you are updating an old and tired kitchen. The best way to add value to a home is to update the kitchen. Modern cabinets are an affordable way to get a great look out of an old kitchen. The cabinets should not only look modern but they should also be durable, functional, and fit well in the space. This seems like a lot to ask from kitchen cabinets but it is possible when you buy modern kitchen cabinets in Los Angeles. Kitchens sell homes so if you are trying to make a sale, it is important to get modern cabinets that fit the space. This is why it is important to have a professional contractor helping you with the work. They will be able to measure the space properly to get the best fit. If you buy the right kitchen cabinets, they could look custom made but they must be installed perfectly. Measure the space, use the online templates, visualize the cabinets, and then determine which cabinets you want. You’ll need to leave room for appliances, plumbing, and electrical outlets. Once you are confident that you have measured precisely, you can scan the modern kitchen cabinets to see which one is best for you. Choose from a modern and sleek grey cabinet if you want to impress buyers. Many modern cabinet doors are flat paneled as opposed to the timeless raised door panel. Be sure to purchase enough lower cabinets with drawers. You may want a large space-saving corner cabinet for pots and pans. In addition, think about the upper cabinet options. Many people like to see a wine rack, glass panels on two doors, or just open shelving in one spot. There are many options for buying modern kitchen cabinets in Los Angeles. 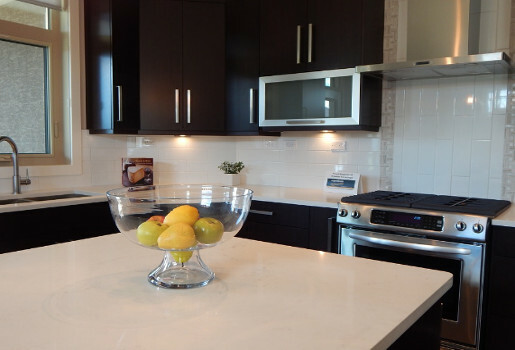 Home owners who want to sell their house, flippers who are looking to make a quick buck, or builders who build houses for a living are going to want modern kitchen cabinets. They are easy to purchase once the right measurements are taken. Hire a contractor to help measure, order, and then install. That way the cabinets are protected and perfect.